Earlier this week we were a bit disappointed to learn that the Volt really isn't a pure series hybrid electric-drive vehicle. But now that real-world independent test numbers are starting to come in, we're beginning to learn just how much of a leap forward the Volt might actually turn out to be. Motor Trend has revealed that in 299 miles of normal driving over two weeks, their test Volt actually managed to get 126.7 MPG. That's incredibly impressive, even if it's only about half the figure GM announced with a lot of fanfare last year. At one point in Motor Trend's test, they hammered the car over a 122-mile loop that took them out into the California desert, and the car still managed to achieve 74.6 mpg. That's way better than a Prius can get on a good day. Still, with so much of the Volt's power coming from your wall socket, making direct comparisons is a fuzzy science at best. 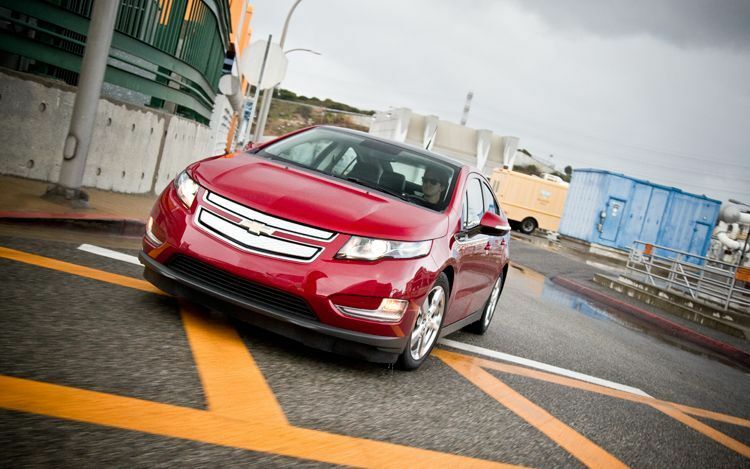 Apparently, the EPA still hasn't decided quite how they will rate the Volt's fuel economy. The upshot is that deciding whether the Volt makes sense for you is going to depend a lot on your driving habits. More than with just about any vehicle, people with an agenda can twist the various running-cost scenarios to come up with figures that fit their own prejudices. I expect that in the end, only the market will tell us whether the Volt was actually worth the four year wait. So, 125plus in mixed power drives, only 75 in a simple all motor drive...could they not just rate the i.c.e. and then rate the electric per amphours per miles, so then the price at the charger would be more transparent to users? I guess like all other sales oriented concernes, they figure it's best to be opaque and confuse us? Standards are not guarantees. I think mosst recognize this. But there has to be an end of the fudge behind "it all depends..."